At the midpoint to this Kids Week, what kind of game will we get out of our newest trio? 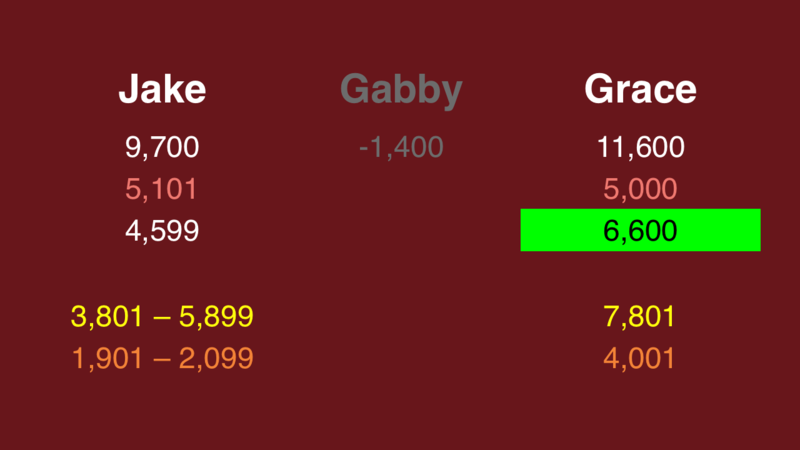 Tonight’s game featured a lot of misses, unfortunately; I feel bad for Gabby, who finished Double Jeopardy! in the red, and won’t be around for Final. More on that tomorrow, in the video. Having only two players makes the calculations very straightforward. Let’s say Jake goes for that 5,900 amount. Grace could cover it with a wager of 4,000 (+1). 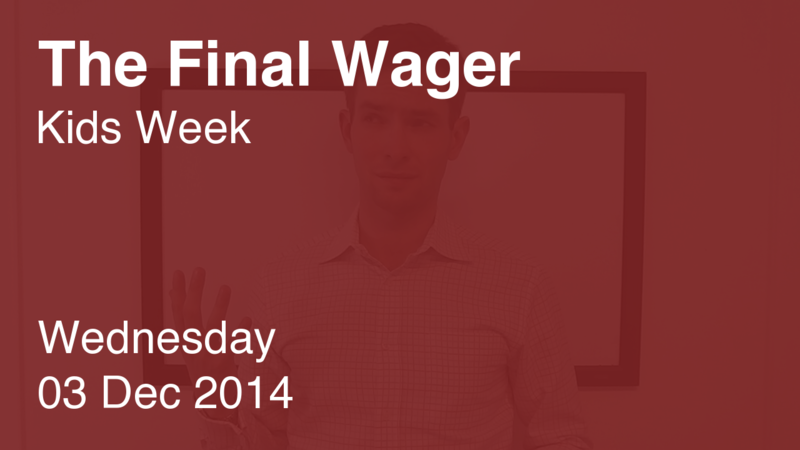 On the flip side, Jake can wager up to 2,100 (-1). 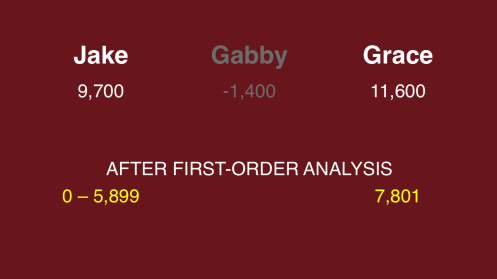 Jake should wager at least 1,901 to cover a zero wager by Grace, and at least 3,801 to cover an “unsafe” wager. Pair those with the appropriate maximum wagers. Not too bad a wager out of Grace, all told! The way things shook out, she’s winning in every situation except where she misses and Jake nails it. That’s the best possible scenario (assuming Jake wagers rationally).